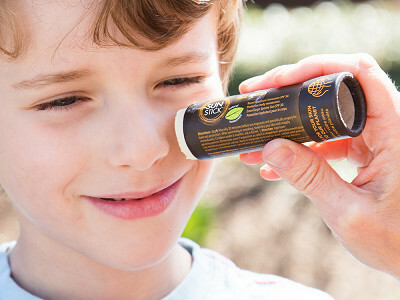 When an organic sunscreen, bug repellent, and moisturizing stick all feel and smell this good—and are earth and skin-friendly—there’s no need to reach for anything else. Dr. Fedorenko’s all-natural body goods are Made in the USA with essential oils, herbs, and other botanical elements. But what isn’t in there is just as important. You won’t find any additives, harsh chemicals, or anything synthetic blended in. Just natural goodness, like calendula, vitamin E, and coconut oil. 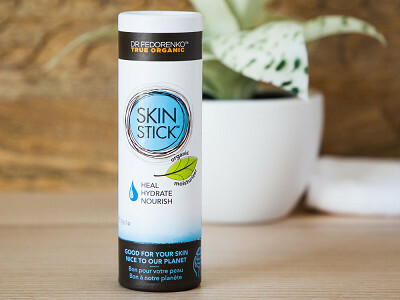 Each comes in a handy stick for easy application, and the packaging is biodegradable, too. There are actually two doctors at work in this family company. Dr. Julia Fedorenko Bitton and her mom, Dr. Larissa Fedorenko, first created the Bug Stick to fight mosquitos and ticks at home in New York. They’ve since paired their backgrounds in dermatology and holistic medicine to helps bodies in other ways—and always naturally. Hello everyone! I'm proud to introduce the Repel Bug Stick to The Grommet. I'd be happy to answer any questions you have! Do you have to put it all over your exposed skin to be effective or is a little on your legs and arms enough to repel bugs? @cindy HI, thank you ! If you are concerned about mosquitoes and insects, I recommend to apply it anywhere you have an exposed skin for best results. If you are wearing stockings, and those bitting mosquitos will bite right through it, you may apply the product right on top of it. @Julia hi,would you apply this over your sunblock and would the butter and oils somehow lessen the sunblocks ability to work properly? @Julia The mosquitoes here will literally bite through my denim jeans and any blouse or t-shirt. Are you saying that I should rub this product all over my clothing as well as my skin? I live on an island that is at high risk for dengue and chikungunya, so I need to be as cautious as possible. However, rubbing this on my clothing won't work well for me. @Julia Thank you Kandy, I would apply on your skin as a body lotion, which it is, since it is based with Shea Butter and Coconut oil, which will nourish and moisture your skin, and I would lightly brush my palms with the product on top of clothes. Is it effective enough to rely on in dengue-prone places? @Barbara HI Barbara, mosquitoe transmitted dis -ease, such a Dengue is a huge concern. 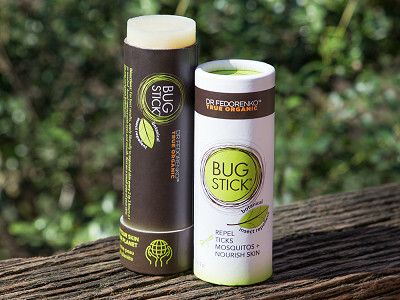 Our Bug Stick proved to be extremely effective to repel mosquitoes in particular.So the answer is yes, the Bug Stick will keep those buggers away, just please make sure you re apply the product a little more often then we recommend. In that case I would re apply it every hour to hour and a half. I would also try it at home to be comfortable that you do have the best protection. I hope this helps. Have you performed any clinical trials of this product that are documented or is it simply a limited testing of the product which allows you to say that it works in repelling mosquitoes? @Ken we actually did both. Do the bar or jar of repellant contain propolis or beeswax? Is it safe to handle pets after applying your Repel Bug Stick? @David Yes, absolutely. I actually apply our Bug Stick on my dog, she is a French Bulldog with fair and sensitive skin. This is the only way I keep all ticks and mosquitoes off of her. I would never use dreadful chemicals. Can you share what essential oils are used in this product? This looks great! Two questions. Our entire family is on homeopathic constitutional treatment and strong smelling peppermint and/or cloves antidote our remedies. Are the peppermint and clove scents strong enough to antidote? @Erica Peppermint and cloves aroma is very very mild. I use our Bug Stick for my two boys and myself, full body application every day and I still use the stick from last year. It really last, however, people loose Bug Stick some times , lol ...I'd take two with you, just incase. If you don't loose it and/or don't use it all, the product is very stable and will serve you well on your next gate away. @Julia Great! Thanks so much! So excited to see such a quality product! I noticed on the side of the container, it listed gnats. When I play golf in the south, they are a real nuisance. How well does this work for non biting bugs? I am looking for a product that is chemical free and won't make me stink more than my golf game already does. @steve lol , Bug Stick smells amazing and above all is very effective to repel biting and non biting buggers. You will really like it. Golfers love it! Are the essential oils that are used Theraputic Grade and source certified ? @Mike Thank you for the attempt at my question but it still does not answer as to the quality of the oils beiing used. @Mike @cheryl How do you know if an Essential Oil is Therapeutic Grade? There’s no short answer to that question. However, there are several indicators that point toward a high-quality product. If you’ve already purchased some oils, begin by getting to know them. Quality oils have several distinguishing features and with time and experience, you’ll become familiar with their subtleties. Our supplier is USA base reliable and known for their quality and vigorous testing and guarantee their therapeutic grade. (That's why the product is so potent and expensive to make) they are USDA Organic Certified, Cosher Certified, Vegan Certified, NAHA Member. To clarify yay no banana or avocado oil?? What's the difference in the two products? And glad they are pet safe! @Julia thanks, just ordered, as think we are in for it this year, live in dry So Ca. Not many but issues but so dry and all. I would only use it now and then, does it have a long shelve life? @Leah yes it does. Since there is no water element to it and it is pure and concentrated, it can be easily used up to 3 years. Hi there, I was wondering if there was any animal testing done with this product/is it considered vegan/cruelty free? @Daniel we would never allow any testing on animals.We are cruelty free and vegan. Thank you for very important question! @Julia Looking for some clarification - you say in this thread that this product is vegan, but, in a previous thread, you mention that it contains beeswax. Beeswax is not vegan, though. Is there beeswax in both the stick and the bar? Hi Sarah, no problem! I just talked to Julia and she wanted to clarify that the essential oils used our therapeutic grade and vegan. You're right in that beeswax is not vegan, that's why they don't label the product as vegan. Yes, both the stick and bar contain beeswax. We have green heads in New Jersey, does your repellant work for them?